To fully exploit the scientific potential of neutrino astronomy, neutrino telescopes of cubic-kilometre scale will be required. The first such detector (IceCube) is currently under construction at the South Pole. In order to achieve full sky coverage and to be able to observe the Galactic Centre, a complementary detector of this size – KM3NeT – shall be built in the Mediterranean Sea.The European deep-sea neutrino projects, ANTARES, NEMO and NESTOR, are jointly working towards the implementation of the KM3NeT detector. A 3-year FP6 Design Study running since 2006 aims at producing the Technical Design Report for the KM3NeT detector. The remaining legal, governance, organisational and funding issues are to be addressed in a 3-year FP7-funded Preparatory Phase project that started in 2008. If all open questions are settled in due time, KM3NeT construction could thus commence in 2011.KM3NeT will also provide the infrastructure for research projects of other science communities, such as biologists, environmental scientists, geologists/geophysicists and oceanographers.KM3NeT is included in the 2006 and 2008 Roadmaps of the European Strategy Forum on Research Infrastructures (ESFRI).Since Oct. 2003: European coordinator of the KM3NeT Design Study, spokesperson of the KM3NeT consortium. Since 2008: coordinator of the two work packages Data and Control and User Support and Impact Assessment of the KM3NeT Preparatory Phase. Search for exotic phenomena, such as magnetic monopoles or nuclearites. Member of the ANTARES Collaboration since November 2001. Contributions to the ANTARES detector; participation in the ANTARES simulation, reconstruction and data analysis work; contributions to the detector integration (LED beacons, clock cards, acoustic detection test system). 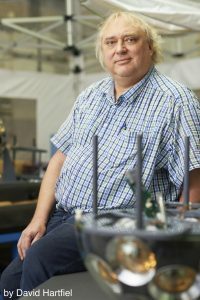 2002-2005 responsible for the coordination of the R&D work towards a future cubic kilometre detector in ANTARES and member of the ANTARES Steering Committee. One major contribution of the Erlangen group to ANTARES was the development of the AMADEUS system for testing the feasibility of a future large-scale detector for acoustic detection of neutrinos with energies in the EeV range and above. AMADEUS stands for “Antares Modules for Acoustic Detection under the Sea”; the system comprises 36 hydrophones including their readout chain. Data are continuously digitised and sent to shore, where they are processed by an online filter. Design, construction, testing and operation of the AMADEUS system was and is done mainly in Erlangen. Data analysis is in progress. The first results confirm that the system works according to specifications. H.E.S.S. (for High-Energy Stereoscopic System) consists of four telescopes in the Khomas plateau in Namibia, each with a total mirror area of 108 square metres. These telescopes record the Cherenkov light produced by the electromagnetic cascades that evolve when a high-energy photon enters the atmosphere. The stereoscopic observation mode allows for a precise direction reconstruction. The typical energy range is between a few 100 GeV and about 100 TeV.Many exciting observations and discoveries were made with H.E.S.S. In 2007, the collaboration was awarded the European Descartes prize.Currently, a fifth telescope is under construction, centred between the first four ones and much larger than these. With this telescope, the sensitivity of H.E.S.S., in particular at the lower end of the energy spectrum, will be significantly increased.The H.E.S.S. and MAGIC collaborations aim at constructing a much larger array of Cherenkov telescopes, the Cherenkov Telescope Array (CTA). This project is included in the 2008 Roadmap of the European Strategy Forum on Research Infrastructures (ESFRI).Member of the H.E.S.S. collaboration since 2006. Member of the ZEUS Collaboration since 1993. Contributions to analyses of deep-inelastic ep scattering and to searches for new phenomena. Participation in planning, design and software development for the new microvertex detector. Published in Springer Tracts in Modern Physics. Simplified simulation and reconstruction software to support decisions in design phase. Contributions to proposal and project planning.Sept. 1999 – March 2001: coordinator of the MVD-Offline activities. In the framework of the TESLA TDR we studied the option to collide electrons from TESLA with protons from HERA to produce ep reactions with a centre-of-mass energy of about 1 TeV. These studies have been summarised in an Appendix to the TESLA TDR and resulted in a detailed investigation of the the physics potential of ep collisions at this energy, the THERA Book.Co-Convenor of the detector group of the THERA study.Co-Editor for the THERA contribution to the the TESLA Technical Design Report (Jan./Feb. 2001) and for the THERA Book (DESY-LC-REV-2001-062, Dec. 2001). Introductory course for physics students, part 2. 4 hours with 2 hours exercises, in German. Two seminars on topical questions of astro and particle physics. Per seminar: One talk (about 45 minutes) and 3 hours of working group per week. 2 hours in the physics computer pool. Experimental Physics 1 – Introductory course for physics students, part 1. Mathematical Methods in Physics 1Accompanying Experimental Physics 1. (together with N. Graser, U. Schellhorn, S. van Wagensveld)Course with practical exercises. 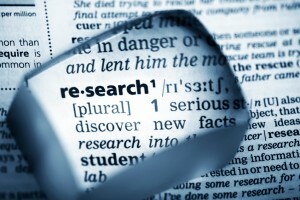 The integrated courses are for students in the research study course. They combine one experimental and one theoretical lecture each. In the third course, these are nuclear and particle physics (my contribution) and quantum field theory (by Andreas Döring). Nuclear and particle physics: 4 hours with 2 hours exercises, in German. For each seminar, one talk per week (about 45 minutes) and 3 hours of working group. Seminar on topical questions of astro and particle physics. One talk (about 45 minutes) and 3 hours of working group per week. Seminar to discuss present and past publications from astro, particle and astroparticle physics. Course with practical exercises. 2 hours in the physics computer pool. Introductory course for physics students, part 1. 2 hours with 2 hours exercises, in German. Fifth lecture in the cycle of experimental physics courses for Bachelor students in physics. 2 hours with 1 hour of exercises, in German. Supplementary and advanced topics in particle physics for Bachelor students in physics. Special lecture for physics students after the pre-diploma. Last lecture in the 6-term cycle of experimental physics courses. 4 hours with 2 hours of exercises, in German. Seminar on topical questions of astro and particle physics. One talk per week (about 60 minutes) and 3 hours of working group. Lecture for teacher training students (gymnasium) after the pre-exam and for students of other subjects with minor physics. Second part of a two-semester introduction to experimental physics for students of biology, chemistry, geography, geology, informatics, molecular science. 5 hours with 1 hour exercises, in German. Recent astro-particle publications, in particular in the field of neutrino astronomy, are discussed in presentations of 30-45 minutes. One talk per week. First part of a two-semester introduction to experimental physics for students of biology, chemistry, geography, geology, informatics, molecular science. 4 hours with 1 hour exercises, in German. Second part of the two-semester introduction to experimental physics for students of biology, chemistry, geography, geology, informatics, nutrition chemistry, molecular science. Second part of the two-semester introduction to experimental physics for students of biology, chemistry, geography, geology, informatics, nutrition chemistry, molecular science, pharmacy. First part of a two-semester introduction to experimental physics for students of biology, chemistry, geography, geology, informatics, nutrition chemistry, molecular science, pharmacy. Seminar on topical questions of astro-particle physics. One talk per week (about 60 minutes) and 3 hours of working group. Introduction to basic mathematical methods for beginner students in natural sciences, in particular in physics. 4-29. Sept. 2000, 3 hours of lectures and 2 hours of exercises per day, in German language. Lecture complementing the compulsory introductory course Physics II. 2 hours, no exercises, in German language. The goal is to discuss basics and applications of the mathematical methods needed for the introduction to mechanics and electromagnetism. Compulsory lecture, 2 hours with 2 hours of exercises in groups. For students of the 6th semester and above. Lectures given both in English and in German language. Lecture, 2 hours including seminars and exercises, in German language. This newly designed lecture in the series Experimental Metods of Particle Physics included practice-oriented exercises at UNIX workstations in which the students could apply the methods discussed in the lecture and acquire first computing experiences. Abitur at the Asam-Gymnasium, Munich. Diploma exam, Technical University, Munich. Test of the PCAC Hypothesis in Neutrino and Antineutrino Reactions with Final-State Muon (in German). Stay at FNAL (Fermi National Accelerator Laboratory, Chicago, USA), participation in data taking of the bubble chamber experiment E632. Final doctorial exam, TU Munich; doctorate in physics. Determination of the Parton Distributions in the Proton Using Neutrino and Antineutrino Scattering on Hydrogen and Deuterium (in German) . Postdoc in the ZEUS group of Prof. E. Hilger, University of Bonn. Coordinator of the ZEUS physics group High Q² and Exotics. Deep Inelastic Positron-Proton Scattering in the High-Momentum-Transfer Regime of HERA. Coordinator of the ZEUS physics group Exotics and Rare Phenomena. Appointment to “Oberassistent” (C2), University of Bonn. Inaugural lecture, Member of the faculty of mathematics and natural sciences, University of Bonn. Offline-coordinator of the ZEUS silicon microvertex detector project. Participation in a study of a TESLA+HERA accelerator combination to produce ep reactions at a center-of-mass energy of 1 TeV. Co-editor of the THERA contribution to the TESLA Technical Design Report (TDR) and of The THERA Book. Standing as a candidate for the ZEUS deputy spokesmanship (retracted because of the offer from Erlangen). Substituting a C4 professorship in the physics institute of the University of Erlangen. Member of the ANTARES collaboration. Coordinator of the future cubic kilometer detector project in ANTARES. Full professor, chair of astroparticle physics, Univ. Erlangen. European coordinater and spokesperson of the KM3NeT Consortium. EU evaluator for the Marie Curie programme. Member of the Council of the Faculty 1 of Natural Sciences of the University of Erlangen. Member of the Peer Review Committee (PRC) of the Astroparticle Physics European Coordination (ApPEC). Coordinator of the working group High-Energy Neutrinos of the AStroParticle European Research Area networks (ASPERA). Representative of the Faculty of Natural Sciences in the senate of the University of Erlangen. Deputy chair of the board of directors of the Department for Physics, University of Erlangen. Speaker and chair of the board of directors of the Department for Physics, University of Erlangen. Deputy dean and member of the governing board of the Faculty of Natural Sciences, University of Erlangen.